ความยาวโดยประมาณ ก็ 16 - 17 ซม. 1) Gently Place hydrometer Flote inside Glass Barrel. Be Gently !! 3) Lubricate the top end of the Glass barrel and the opening of the rubber bulb with water. 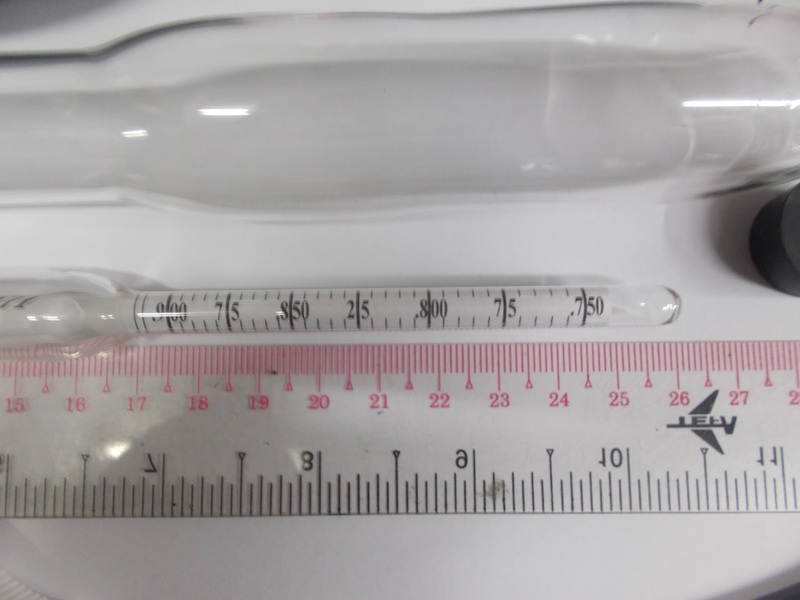 While holding the rubber bulb in one hand, and the glass barrel in the other, place the edge of the glass barrel into the opening of the rubber bulb. 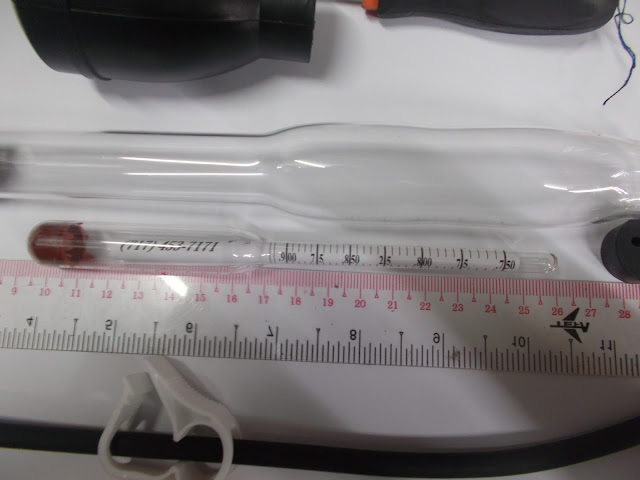 Rotate and push the glass barrel into the rubber bulb until it seats securely into the groove of the rubber bulb. 5) Lubricate the bottom of the glass barrel and the opening of the rubber tip with water. 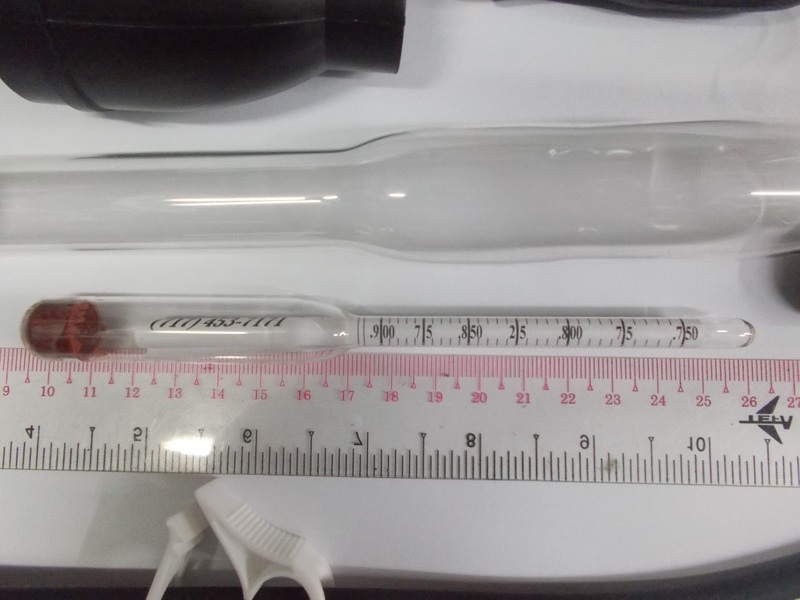 Holding the glass barrel in one hand and the rubber tip in the other, rotate and push the rubber tip onto the glass barrel until it snaps securely in place. 6) You are now ready to use this instrument. 1) Always use eye protection when using this instrument. 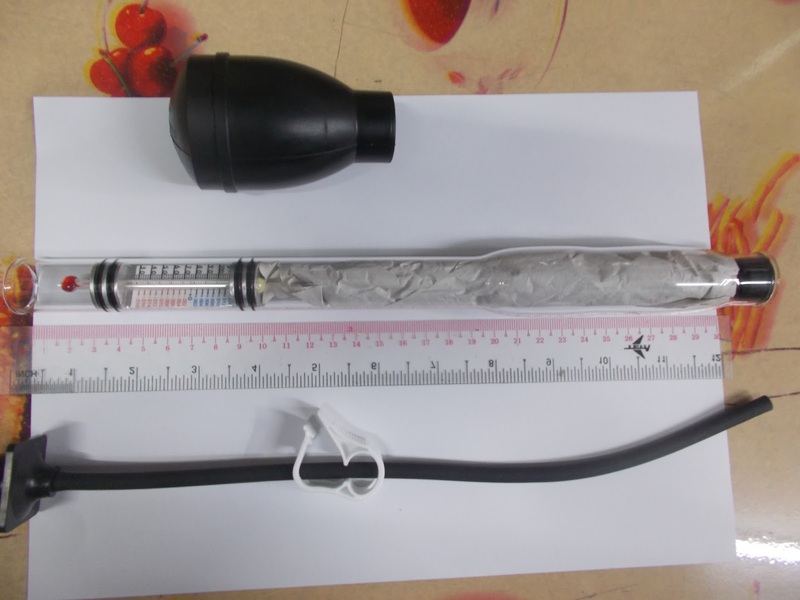 3) Gently squeeze rubber bulb until most air has been expelled. 4) Carefully lower the end of the rubber tip into the liquid being tested. 6) Lock the hose clamp located on the rubber tip. It is important to lock the Hose clip before the rubber tip has been removed from the liquid. If the rubber tip is removed before the hose clip has been locked, air bubbles will enter the glass barrel and affect your reading. 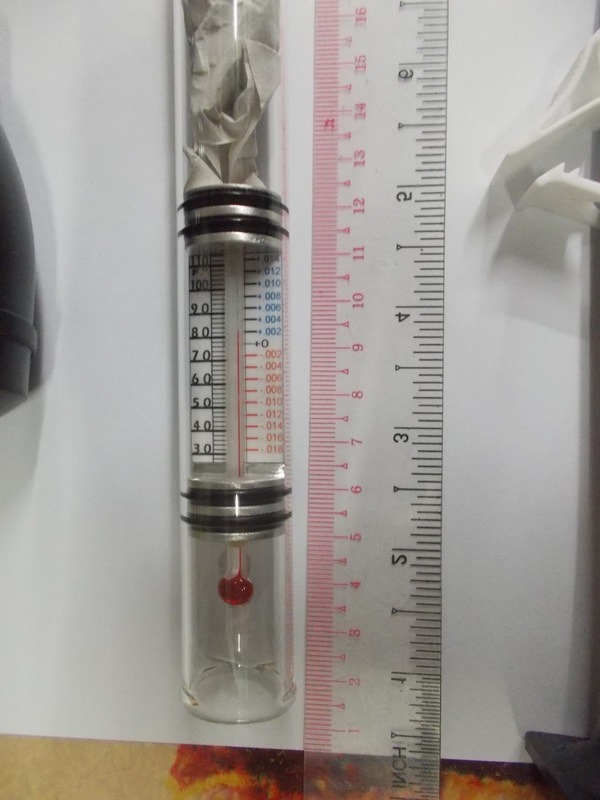 7) Hold the instrument vertically, and make sure the hydrometer floats freely in the glass barrel. 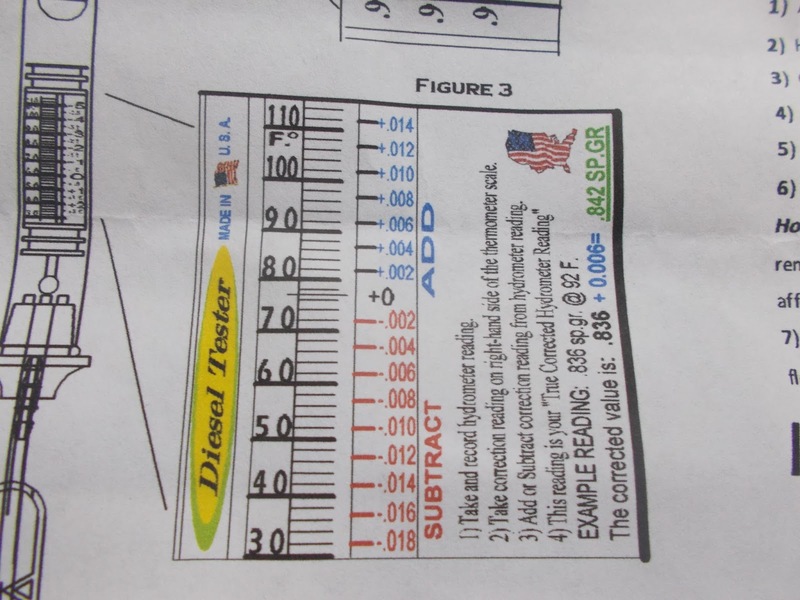 1) It is important to become familiar with the Hydrometer and Thermometer Scale. 2) Take and record your hydrometer reading. 3) Take and record your thermometer correction reading which is located on the right-hand side of the thermometer scale. 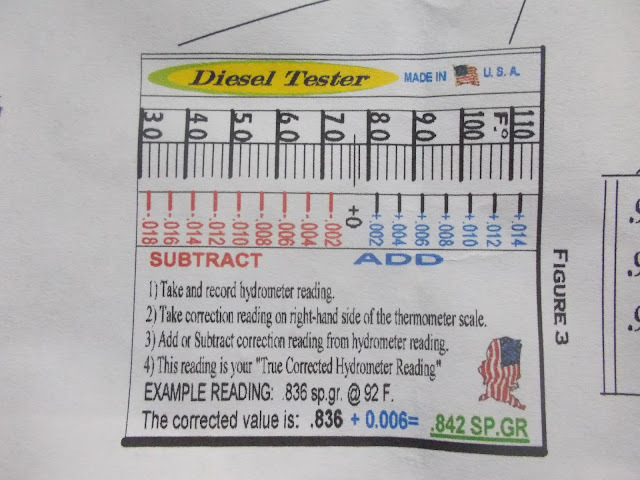 5) This reading is the "True Corrected Hydrometer reading"